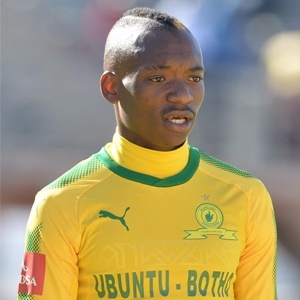 Cape Town - Mamelodi Sundowns have confirmed that key stars Khama Billiat and Kennedy Mweene are among eight players who are unavailable for selection with injury for the Brazilians. Masandwana face Free State Stars in their first game back after the international break and will no doubt look to get back to winning ways after losing their previous Absa Premiership encounter to Polokwane City. The club's official website said, “Khama Billiat, Yannick Zakri and Tiyani Mabunda lead the list of infield players who are sidelined by injuries. The goalkeeping department is also affected as Kennedy Mweene will be missing. “Mweene returns from Zambia's World Cup Qualifier heroics against Algeria with a hamstring injury. Muzikayise Mashaba, on the other hand, faces a long layoff as he recovers from an operation on a Torn Achilles. Sundowns and Free State Stars square off at Goble Park at 18:00 on Monday.